Our range of products include tea dryer steam radiators. 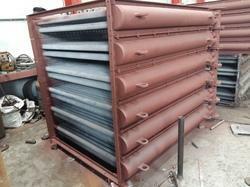 We have full devout in developing the best quality Tea Dryer Steam Radiators. We stock a comprehensive range of radiators that is ideal for low cost and eco friendly drying applications and demanded widely in tea drying industry. Featuring radiator working pressure of 2.0 Mpa the high performing model comes with crimpled steel fin tubes that ensure vibration free performance and uniformed heat distribution. 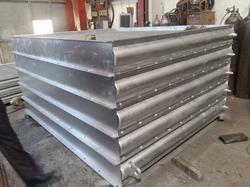 Further, we are providing OEM designed radiators in varied capacities at the best price in the industry. Owing to our extreme prowess in the domain, we are developing an extensive range of Tea Dryer Steam Radiators. We present a finely finished range of radiators that comes with assurance of high speed drying and lesser environmental impact. Widely demanded in the food processing industry our offered range is equipped with stainless steel tube and comes with hot medium choice of water or thermal oil. Developed at our precision engineered setup the rigorously tested equipment is accessible from us at the market leading price.